Collection:Spring/SummerGender:ManType:JacketFastening:zipSleeves:longExternal pockets:2Material:polyester 100%Main lining:polyester 100%Washing:wash at 30° CModel height, cm:185Model wears a size:MHood:fixedDetails:visible logo Този продукт е нов на сайта и скоро информацията ще бъде достъпна на български език. Man's padded jacket, resistant to water and wind - Details: Polo neck, front zip fastening, two outer pockets, an inner pocket- Outshell: 100% polyamide, lining and padding: polyester. 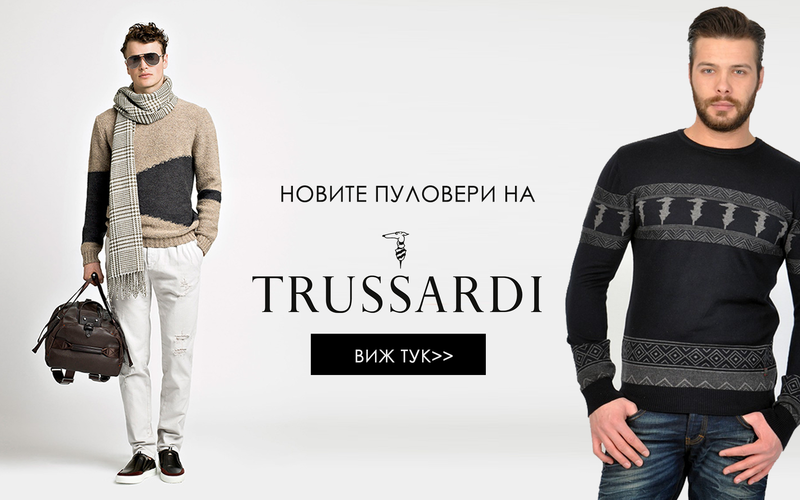 - Hand wash separately - Model wears a size: M - Model height cm: 183 Този продукт е нов на сайта и скоро информацията ще бъде достъпна на български език. Collection:Spring/SummerGender:ManType:JacketFastening:automatic buttonszipSleeves:longExternal pockets:3Internal pockets:2Pockets:undefinedMaterial:polyester 100%Main lining:polyester 100%Washing:wash at 30° CModel height, cm:185Model wears a size:MHood:fixedDetails:appliques Този продукт е нов на сайта и скоро информацията ще бъде достъпна на български език. Collection:Fall/WinterGender:ManType:BomberFastening:zipSleeves:longExternal pockets:5Internal pockets:2Material:elastane 4%polyester 96%Pattern:solid colourWashing:hand washModel height, cm:189Model wears a size:MHood:removableInside:polar fleeceDetails:visible logo Този продукт е нов на сайта и скоро информацията ще бъде достъпна на български език. Collection:Fall/WinterGender:ManType:BomberFastening:zipSleeves:longExternal pockets:4Internal pockets:2Material:elastane 4%polyester 96%Pattern:solid colourWashing:wash at 30° CModel height, cm:189Model wears a size:MHood:removableInside:polar fleeceDetails:appliquesvisible logo Този продукт е нов на сайта и скоро информацията ще бъде достъпна на български език. Collection:Fall/WinterGender:ManType:BomberFastening:half zipside zipSleeves:longExternal pockets:3Material:polyester 100%Main lining:polyester 100%Pattern:leopard designWashing:wash at 30° CModel height, cm:186Model wears a size:MHood:removableInside:linedpaddedDetails:synthetic fur insertsvisible logo Този продукт е нов на сайта и скоро информацията ще бъде достъпна на български език. Collection:Fall/WinterGender:ManType:BomberFastening:zipSleeves:longExternal pockets:2Internal pockets:1Material:polyamide 100%Pattern:solid colourWashing:hand washModel height, cm:189Model wears a size:MHood:fixedInside:linedDetails:visible logo Този продукт е нов на сайта и скоро информацията ще бъде достъпна на български език. Gender:ManType:JacketFastening:zipSleeves:longExternal pockets:2Internal pockets:2Material:polyamide 100%Pattern:solid colourWashing:wash at 30° CModel height, cm:186Model wears a size:MFit:regularInside:unlined Този продукт е нов на сайта и скоро информацията ще бъде достъпна на български език. Collection:Fall/WinterGender:ManType:BomberFastening:zipSleeves:longExternal pockets:5Internal pockets:1Material:polyester 100%Main lining:polyester 100%Pattern:solid colourWashing:wash at 30° CModel height, cm:186Model wears a size:MHood:fixedInside:linedpaddedDetails:synthetic fur insertsvisible logo Този продукт е нов на сайта и скоро информацията ще бъде достъпна на български език. Gender:ManType:BomberFastening:zipSleeves:longExternal pockets:2Internal pockets:2Material:polyamide 100%Main lining:polyamide 100%Pattern:solid colourWashing:wash at 40° CModel height, cm:186Model wears a size:MHood:fixedInside:paddedDetails:visible logo Този продукт е нов на сайта и скоро информацията ще бъде достъпна на български език. Collection:Spring/SummerGender:ManType:JacketFastening:buttonsSleeves:longExternal pockets:4Internal pockets:2Material:cotton 98%elastane 2%Washing:wash at 40° CModel height, cm:186Model wears a size:MFit:regularInside:unlined Този продукт е нов на сайта и скоро информацията ще бъде достъпна на български език. Men's jacket - Jacket with removable and adjustable hood - Outshell, lining and filling 100% polyester, dry-tech 4000 - Zip fastening, 2 zipped pockets, 2 inside pockets - wash at 30° separately - Model wears a size: M - Model height: 187 cm Този продукт е нов на сайта и скоро информацията ще бъде достъпна на български език. Collection:Fall/WinterGender:ManType:BomberFastening:zipSleeves:longExternal pockets:2Internal pockets:2Material:polyester 100%Main lining:polyester 100%Pattern:solid colourWashing:hand washModel height, cm:189Model wears a size:MHood:fixedInside:polar fleeceDetails:visible logo Този продукт е нов на сайта и скоро информацията ще бъде достъпна на български език. Collection:Fall/WinterGender:ManType:BomberFastening:zipSleeves:longExternal pockets:3Material:elastane 4%polyester 96%Main lining:polyester 100%Pattern:leopard designWashing:hand washModel height, cm:186Model wears a size:MHood:removableInside:polar fleeceDetails:appliquesvisible logo Този продукт е нов на сайта и скоро информацията ще бъде достъпна на български език. Collection:Fall/WinterGender:ManType:BomberFastening:zipSleeves:longExternal pockets:2Material:acrylic 90%polyamide 10%Pattern:solid colourWashing:wash at 30° CModel height, cm:185Model wears a size:MHood:fixedInside:paddedHems:ribbed Този продукт е нов на сайта и скоро информацията ще бъде достъпна на български език. Collection:Fall/WinterGender:ManType:BomberFastening:zipSleeves:longExternal pockets:7Internal pockets:4Material:polyester 100%Main lining:polyester 100%Pattern:solid colourWashing:hand washModel height, cm:189Model wears a size:MHood:removableInside:linedpaddedDetails:synthetic fur insertsvisible logo Този продукт е нов на сайта и скоро информацията ще бъде достъпна на български език.